Fast Lane is proud to announce the introduction to Gigamon Training Vouchers (GTVs). In cooperation with Gigamon, this new program supports both Gigamon’s Customers and Partners training needs with this pre-paid training voucher program. 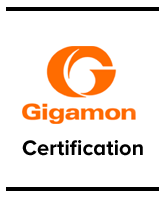 Valued at $100 USD per voucher, GTVs can be used to purchase authorized Gigamon training including standard Gigamon Courses as well as Consultative Gigamon Training solutions both offered by iTLS. The purchase of GTVs makes it easy to include and pay for valuable authorized Gigamon training at the time of the purchase of your Gigamon solutions.